Ralph Del Valle is our General Manager here at SERVPRO of Poway / Rancho Bernardo. 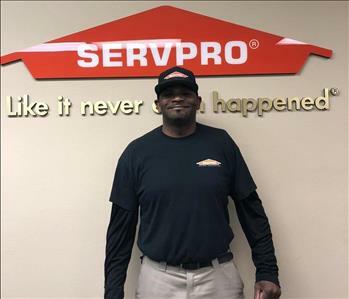 He has been in the restoration business for over 35 years- where he began career with SERVPRO. Ralph is not only an active supervisor and job site estimator – he also ensures all systems and procedures are properly managed, and executed. Ralph is a licensed contractor and holds the following certifications from the Institute of Inspection Cleaning and Restoration Certification (IICRC): Applied Microbial Remediation (AMRT), Applied Structural Drying (ASD), Carpet Cleaning (CCT), Carpet Repair & Reinstallation (RRT), Fire and Smoke Restoration (FSRT), Upholstery and Fabric Cleaning (UFT), Water Damage Restoration (WRT), Contents Processing (CPT), and Journeyman Water Restorer (JWR). When Ralph is not working vigorously for SERVPRO, he enjoys spending time with his wife Suzie and their dogs - Lola & Lulu. With his driving force to provide high-quality service, his attentiveness within all aspects of the job, and his wonderful display of leadership – Ralph has been remarkably prominent in our growth. 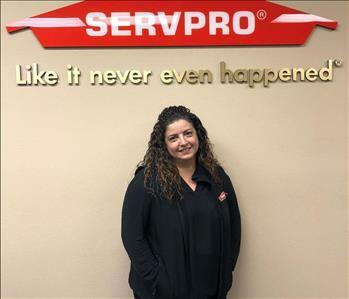 Suzie Del Valle is the Office Manager for SERVPRO of Poway / Rancho Bernardo. She has been a part of the SERVPRO family since 2006. She works with our office staff and production techs to ensure that all files are audited, and contain the correct documentation. Furthermore, she assists with budgets and many aspects of accounting. Customer satisfaction is our primary goal, and Suzie sets the example. She is the heart of our team - Always exemplifying professionalism, leadership, and a true expertise of the business. With her strong ambition, and constant strive to assist the company in moving forward as a united team, to do what we do best – She has remained an asset to SERVPRO. Salomon Serrano is our Lead Production Manager and Estimator for SERVPRO of Poway / Rancho Bernardo. He has been a part of our franchise family since 2008. He is the ambassador between our clients and our team that helps facilitate all communication. While he is not only capable of supervising large projects, his Estimator capability ensures a smooth progression with all moving elements of our jobs. He has the following certifications from the Institute of Inspection Cleaning and Restoration Certification (IICRC): Water Damage Restoration (WRT). In addition, Salomon’s Level Two Certification on Xactimate show he is proficient at preparing the reports that are fundamental to insurance claims. When he is not working diligently for SERVPRO, he enjoys spending time with his family and spoiling his daughter. His continuing growth, strong work ethic, and amiable customer service has been influential in our prosperity. 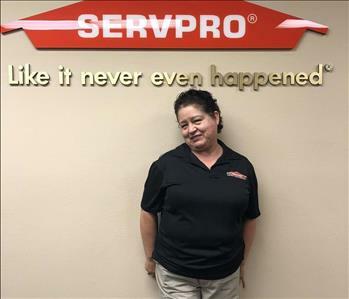 Sandra Robinson is a technician here at SERVPRO of Poway / Rancho Bernardo. She has over 18 years of experience and knowledge in the restoration industry. As part of the production Crew, she is responsible for fire cleanings and pack outs. In addition, she works with all parties required to place a customer's home back "Like it never even happened". On her spare time, she enjoys reading, shopping, and spending time by the ocean. Her efficiency on jobs and drive to go beyond what is asked of her has made her an essential leader within this company. 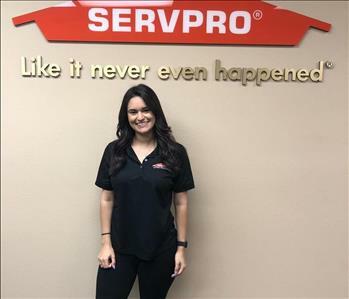 Adrianna Borrego is our administrative assistant, who has grown up in the SERVPRO franchise family. While she used to attend SERVPRO events as a little girl, she has now been able to grow into a vital member of our team. Working virtually in every capacity, Adrianna believes in the value of relationships within the insurance industry, and is committed to being trustworthy, reliable, and committed to excellent customer service. On her spare time, she is a full-time student working towards her Bachelor’s degree in Business Management. With her continued growth, reliability, and ambition to learn - she has remained an asset to our team! 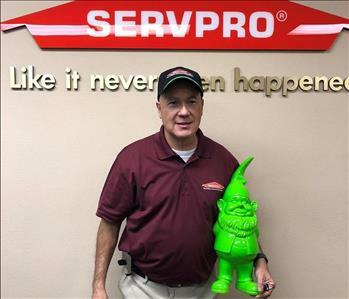 James Henney is our Lead Estimator for SERVPRO of Poway / Rancho Bernardo. He has been a part of our franchise family for over 15 years. He works closely with our technicians to develop and ensure estimates for our services are done correctly, and in a timely manner. He has the following certifications from the Institute of Inspection Cleaning and Restoration Certification (IICRC): Water Damage Restoration (WRT). In addition, James holds a Level Two Certification on Xactimate showing he is experienced and qualified at assembling the detailed information on the reports. On his spare time, he enjoys reading books, going on hikes, and watching movies. James’ exceptional knack for detail and strong work ethic makes him a valued team member. Lori Borrego is a Crew Chief in our Pack Out, Fire, & Cleaning Division. She has been a part of our franchise family since September 2007. She is responsible for Pack-Outs and Content cleaning - using her Contents processing and handling certification expertise to return personal belongings in their preloss condition. Furthermore, Lori holds a Level One Certification on Xactimate showing she is skilled and knowledgeable when compiling the meticulous data on the reports. Over the years, here at SERVPRO, she has acquired considerable knowledge and training in the restoration industry. Though she is on call with SERVPRO 24 / 7 – on her spare time she enjoys hanging out with her family, and watching her Granddaughter. With Lori’s proactive outlook and ambition to learn, she has remained a great asset to our team! 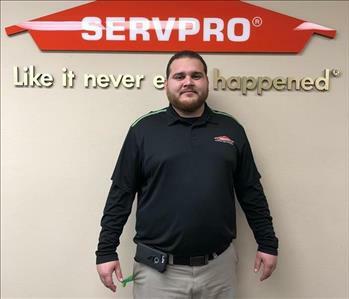 Austin Rushing is a technician here at SERVPRO of Poway / Rancho Bernardo. He has over 2 years worth of experience in the restoration business, and joined the SERVPRO family in 2016. 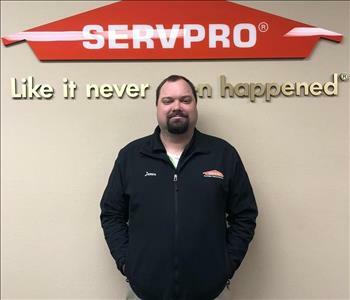 Austin has successfully completed the SERVPRO Employee Certification Training Program; which covers Crew Training, Fire & Water Restoration, Carpet Cleaning, Deodorization, and Upholstery Cleaning. 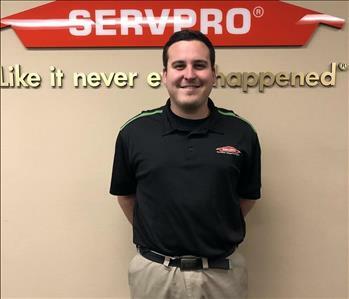 Austin is instrumental in helping SERVPRO of Del Mar provide personable – yet professional service. On his spare time, Austin enjoys playing soccer, and the guitar! With his strong work passion and enthusiasm on a day to day basis – Austin has been a substantial factor to the company’s expansion. Tai Elliot is our water mitigation technician here at SERVPRO of Poway / Rancho Bernardo, and is a key member of our team. In addition, he has over 2 years of experience in mold remediation, and home remodeling. He has completed the SERVPRO Employee Certification Training curriculum. Tai enthusiastically responds to customers’ needs and attends to the critical details required to ensure a job well done, every time. On his free time, Tai enjoys engaging in outdoor activities, such as hiking, fishing, etc. With his constant strive to maintain integrity, dedication, and conscientiousness – Tai has been an eminent component of our team. Kilee Petersen is an administrative assistant here at SERVPRO of Poway / Rancho Bernardo. 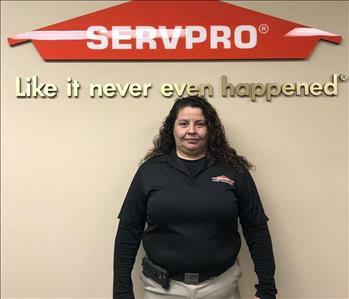 Though she has only been with SERVPRO since January of 2018, she has over 4 years of experience executing clerical tasks and duties. She works with our office staff and insurance adjusters to ensure that all invoices are filed and paid. Furthermore, she helps handle our local social media platform(s), as well as our website, ensuring the material is informational and engaging. On her spare time, she enjoys hiking, hanging out with her children, and working full-time towards her law degree. With her exceptional organizational skills, her charismatic attitude, and her drive to go beyond what is asked of her, Kilee has been a notable asset to the team. When they are not acting as Mascots and/or Security for SERVPRO of Poway / Rancho Bernardo - they enjoy long walks, sunbathing, horseplay, and naps. Thank you Lola & Lulu for your hard work and commitment to SERVPRO.